The Yi fan feng shun protection & enhancement charm is a vital Cure for the Annual #5 yellow that flies into the southwest palace in 2019. The Yi fan feng shun protection & enhancement charm should be placed in the southwest of a home or office from the 4th February 2019 – 3rd February 2020 and should be cleaned and placed where the 5 star is present the following years. This is a very traditional Cure to enhance and protect wealth, health, and career as the 5 yellow is a very volatile star. It has no gender and no trigram and is highly dangerous when disturbed. When disturbed by loud noises, its malevolent influence brings disaster, sickness, lawsuits and major loss of wealth. The 5 yellow flying into the southwest during 2019 and will have an impact on all occupants of the home or business and anyone suffering from problems related to their heart or lungs will need to place this cure as ignoring this area in 2019 could cause problems. The Chinese characters on the Chinese fan translate from 出入平安 chūrùpíng’ān which when translated means “peace when you come or go/peace wherever you go” and 一帆风顺yìfānfēngshùn “Auspicious wind throughout your journey/plain sailing/to go smoothly” which can be found on other Cures as this is a powerful thought form that promotes an easy, trouble-free year ahead. The Mystic Knot towards the top of the charm is a combination of six times the infinity symbol which denotes a long and happy life full of good fortune. Each part of this cure is crucial when placed together and helps to avoid a lot of problems associated with the Annual #5 yellow. This metal used in this charm is of very good quality metal which is needed in this area in 2019 as metal will help to weaken the effects of the #5 yellow. We had this charm specially made for us to ensure that sizing and materials used were all to the highest standards and fell in line with auspicious Feng Shui measurements and the quality is second to none. 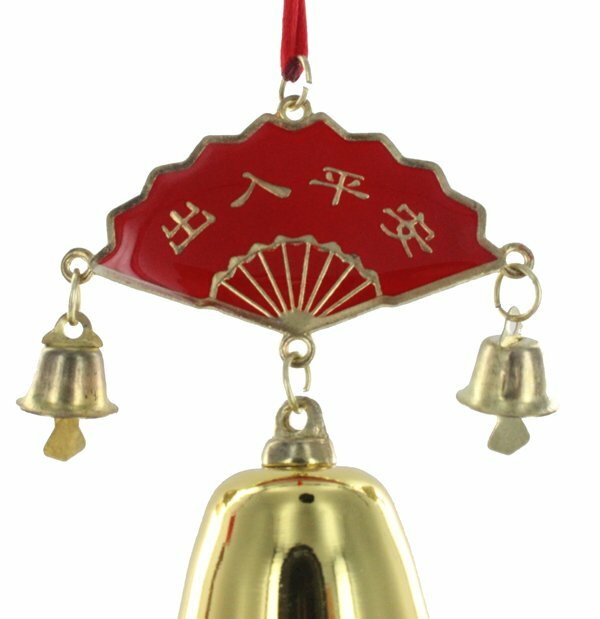 When dealing with the 5 yellow, the best cures you can use are metal Wind chimes and bells although they are two very different Cures; the wind chime can be hung inside or outside although the Yi fan feng shun protection & enhancement charm should only be hung inside and should not be rung too often as it is a Yin metal cure. 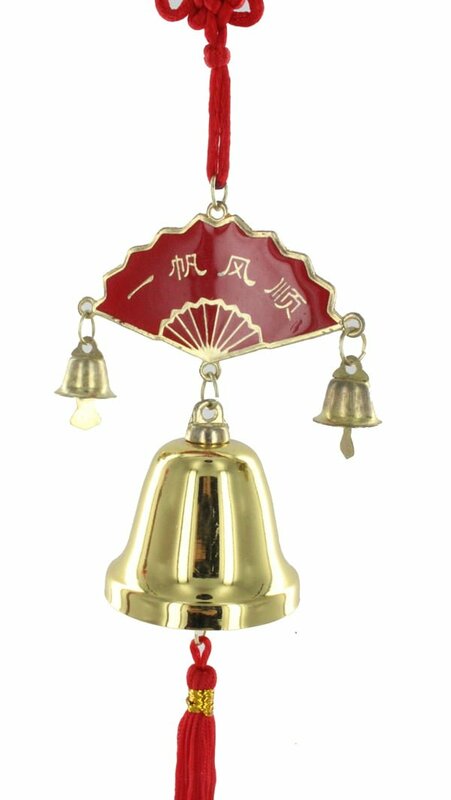 The Rim of the bell must fall within the Chai measurement which is between 0mm and 54mm which denotes financial luck, six types of good luck and abundant good fortune; the outer rim of this charm measures at precisely 45mm falling perfectly into the Chai measurement. Please apply care when using bells in the southwest this year and make sure that they fall within the Chai measurement. One of the most important aspects of this cure is the overall size of the charm. 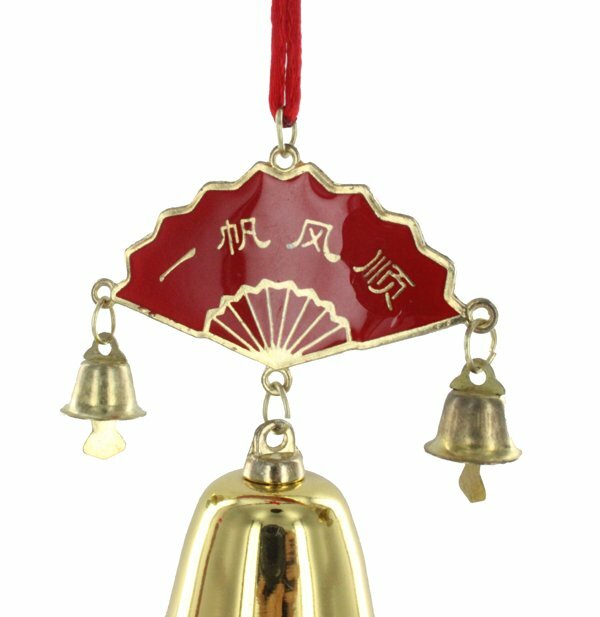 In traditional Feng Shui you have auspicious and inauspicious measurements and the entire measurement must fall within a Pun sector which is approximately between 378 – 432mm and this charm is nicely sited within 390mm (Pun) which is said to bring lots of money flowing in, good luck in examinations, plenty of treasures and abundant prosperity and good fortune. 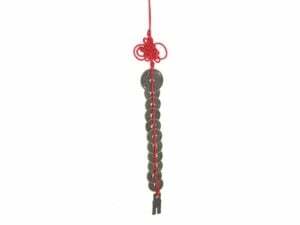 In traditional authentic Feng Shui measurement is so very important and even a few less millimetres on this charm would take the sector into Hai which is said to bring disaster, death, sickness and ill health. 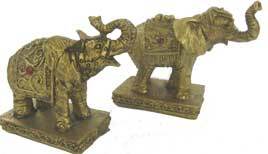 Our Feng Shui software has all the measurements built into it and it is something we have personally used with great results for many years. Where do I place the Yi Fan Feng Shun protection & enhancement charm in 2019? 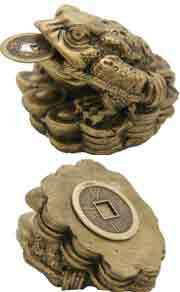 The Yi Fan Feng Shun protection & enhancement charm should be placed in the southwest of your home or office or southwest area of an important room. How do I display the Yi Fan Feng Shun protection & enhancement charm in 2019? When should I display the Yi Fan Feng Shun protection & enhancement charm?